We are committed to the total well-being of your beloved pet. Our dedicated veterinarian, Dr. Amal Zakhary (Dr. Amy) has extensive experience with animals from mice to tigers and everything in between. Whether your family member is feathered, scaled, or furry, they are in good hands when you bring them to our compassionate veterinarian. After helping many high-profile animals in Las Vegas maintain their health and treating them for a wide range of conditions, Dr. Amy wanted to focus on the animals that truly bring us the most joy, our pets. This quest brought her to Hesperia where she has helped many in our community find solutions to both common and rare maladies that affect our cherished companions. There is no pet too small or large for Dr. Amy to care for. While we mostly deal with cats, dogs, birds, and reptiles, our doctor can assess horses and other livestock as well. Dr. Amy can assist during a difficult birth and performs cesarean sections when necessary. She also helps local breeders when they need artificial insemination services. She is also experienced in soft-tissue surgery and orthopedics, which is beneficial if an injury should occur. We keep Rattlesnake bite antidote in stock just in case your dog or cat is taken by surprise on a hike or even in their own backyard. Call our Hesperia Veterinarian Today to Learn More! If your pet is in distress, you can trust Dr. Amy to get to the root of the problem. Her no-nonsense approach produces accurate diagnoses that are the first step to getting your animal(s) on the road to recovery. She performs thorough exams, including imaging and bloodwork when needed, as well as a complete health history. After considering every aspect of your pet’s signs and symptoms, Dr. Amy clearly explains what is happening with your family member and makes the appropriate recommendations. Our team is standing by and eager to answer your questions. 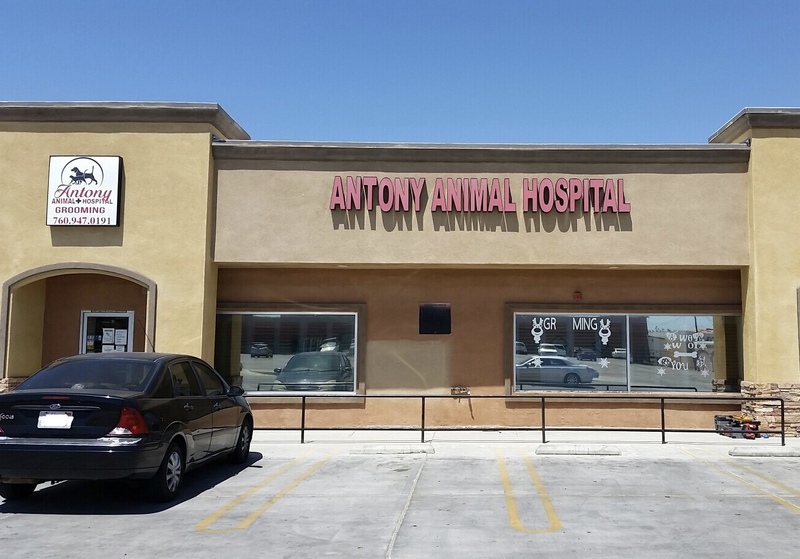 Call us or visit to see how our combination of good customer service and medical knowledge make Antony Animal Hospital different.